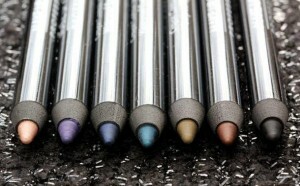 By all means avoid using black eyeliners because the color is too harsh. It is best to use dark gray rather than black. For people with blue eyes, navy blue eyeliner would be perfect. For women with green eyes, use gray or brown eyeliner. Define hazel brown eyes better with brown, bronze or violet eyeliner.